Just normal wear and tear, no real major issues except on the front rub rail, This is a small issue that needs some attention. Otherwise no other issues. 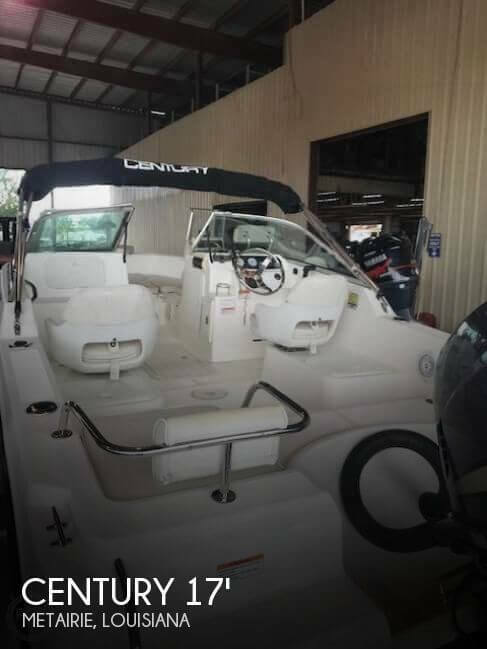 Seller states the boat looks, runs and shows well. Stock #140721 Great Condition! 250Hp Yamaha 2-Stroke! A/C! Furuno Radar! Trim Tabs! Hard Top! Rocket Launchers! Trailer! If you are in the market for a walkaround, look no further than this 2001 Century 2300 WA, priced right at $19,900 (offers encouraged). 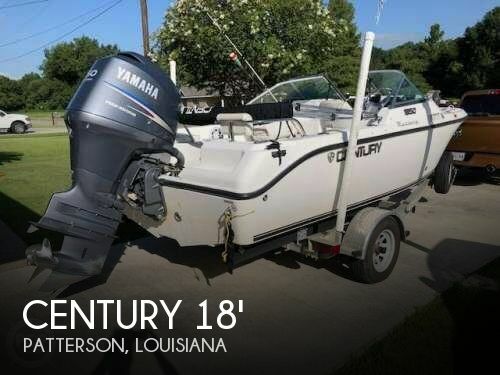 This boat is located in Farmerville, Louisiana and is in good condition. She is also equipped with a Yamaha engine that has 300 hours. 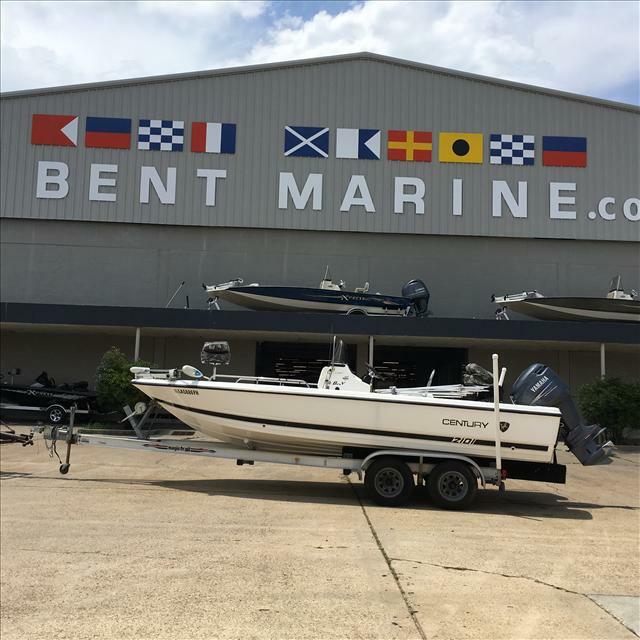 Reason for selling is wants a pontoon boat. This vessel's overall condition is good. Upholstery is in very good condition. Hull and topsides all look very good. Gelcoat is in great condition. The cockpit is roomy and equipment display is in good condition. 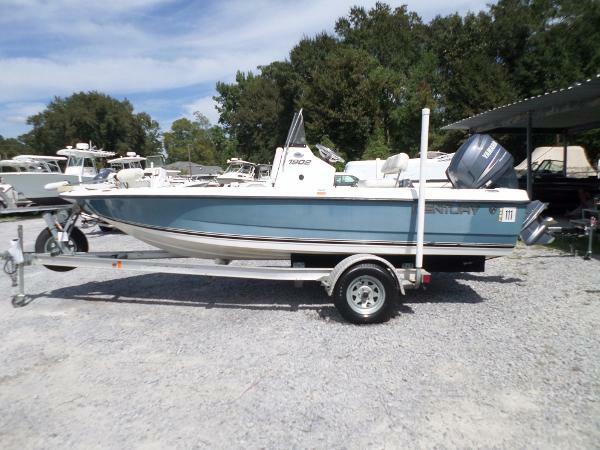 Stock #126841 Century Quality with the Legendary Yamaha OX66, Equipped and ready for Offshore Fishing If you are in the market for a walkaround, look no further than this 1996 Century 24 Walkaround Sportfish, just reduced to $30,000 (offers encouraged). 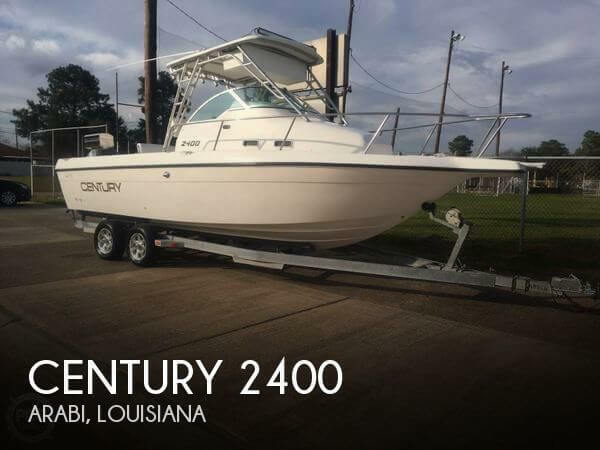 This boat is located in Arabi, Louisiana and is in good condition. She is also equipped with a Yamaha engine. 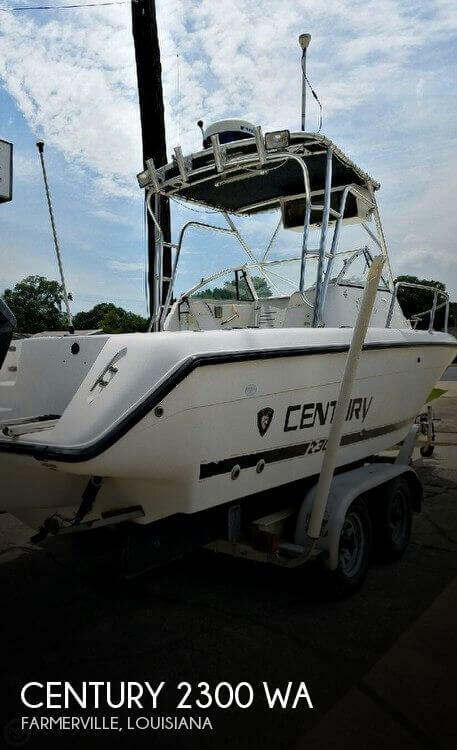 2008 Century 1902 Inshore Century 1902 Bay Boat equipped with a Yamaha F115 with 88 Hours, SST Prop, Yamaha Digital Gauges, Dual Battery with Switch, 2 Livewells, Fish Box in Bow, Motorguide 24 Volt Trolling Motor with 2 Batteries, and a Minn Kota 3 Bank Battery Charger, 6 Console Rod Holders, 2 Gunnel Rod Holders, Anchor Locker, Salt Water Washdown, Cushioned Ice Chest with Folding Backrest, Magic Tilt Alumn Trailer with Spare Tire.